As banks and money transfer services are growing in the cities and expanding their reach to the Kingdom’s rural areas, an increasing number of banks are maximising the use of their ATM locations by providing “Cash by Code” services. Cash by Code allows customers to transfer money to individuals, including those without a bank account, with a one-time password that can be used at any of the bank’s ATM machines. ABA Bank launched its Cash by Code service, E-Cash, less than a year ago, and demand for the service has been growing steadily since. Igor Zimarev, head of ABA’s marketing division, told the Phnom Penh Post that over 2,000 withdrawals have been made across the bank’s 128 ATM machines, with more than $370,000 in funds being transferred. E-Cash is also available on the ABA mobile app, and the money transfer service costs $0.50 per transaction. “The local economy is developing rapidly with more people moving from small villages to large cities,” said Zamirev. He added that E-Cash allows ABA Bank to reach a majority of the population, which still remains without a bank account, “through modern financial solutions”. “Another reason to launch this service is to help our customers in emergency situations,” said Zamirev, as people who have lost their ATM cards can still access their funds. 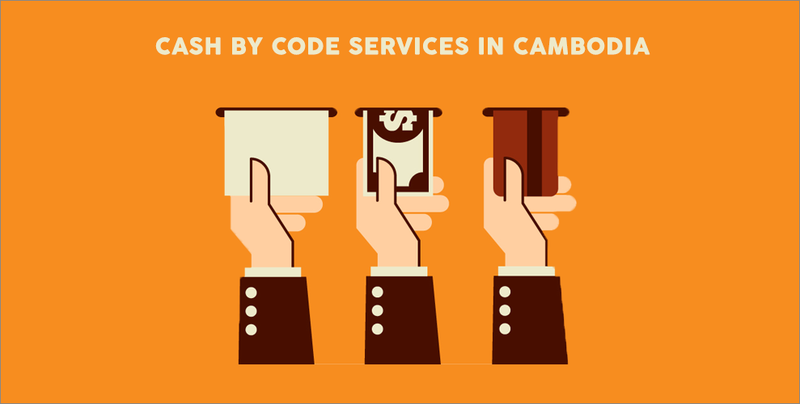 Acleda Bank, Cambodia’s largest financial solution, has been on the Cash by Code bandwagon since 2012 with its Acleda Unity account. So Phonnary, Executive Vice President of Acleda Bank, told the Phnom Penh Post that this service allows people with little knowledge of financial institutions to access funds. With Acleda Unity, customers just need to register a verified number for the recipient, and the recipient will be given a one-time password that expires after 24 hours. Acleda Bank aims to upgrade its mobile and smartphone services and release an app for their Cash by Code service by the end of this year. As for Wing Specialised Bank, it operates money transfer services with its network of 4,000 agents nationwide. While its operations are similar to that of Cash by Code, Jojo Malolos, CEO of Wing Specialised Bank, told the Phnom Penh Post that his company is looking to expand its existing mobile-based model.